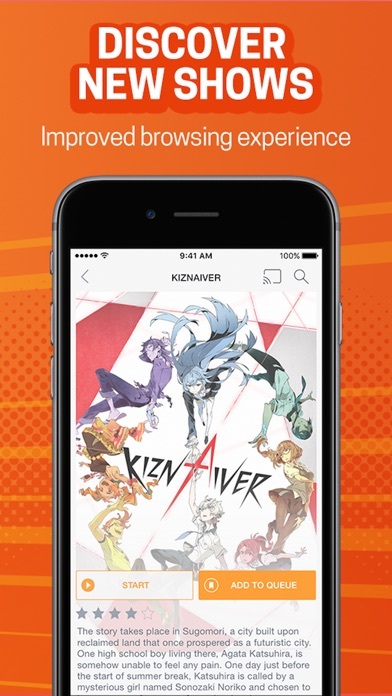 It’s a great app but it has to many ads I count how many ads in 1 episode and it’s either 18 or 19 in a video. Why no One punch man? 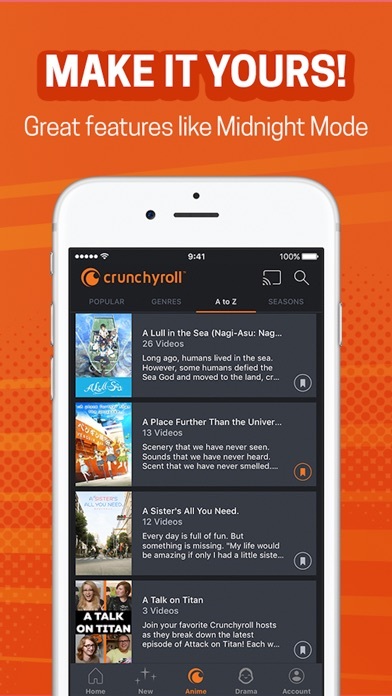 I just started to use Crunchyroll and I have no complaints except the fact that they don’t have One punch man and honestly I was so hyped for season two but it’s not there and look I don’t know the legal issues or reasons for this but it’s disappointing because I wrote a similar review before but they add the old season of the anime I was complaining about so know I just question this because I say the Crunchyroll Spanish channel and they talked about one punch man and how it was going to be available but now not even season one is available. Crunchyroll the reason people don’t like this app is because bugs and glitches but I don’t mind them but I do mind not having a certain anime on this app that is about anime I know Crunchyroll cant have all the anime’s but the hot new anime’s should be prioritized instead of anime which doesn’t have such a big or outspoken fan base. 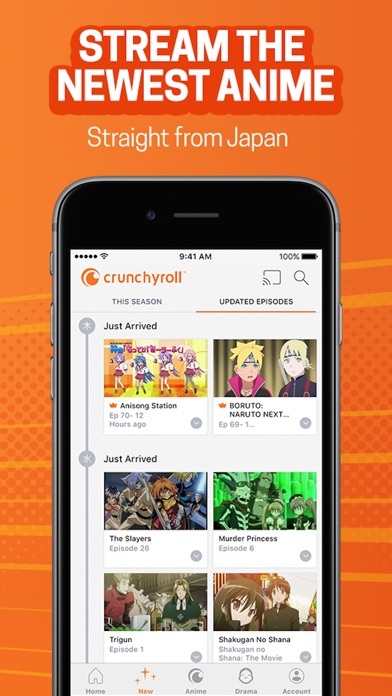 Crunchyroll I will support I’m getting premium and I want to continue supporting but if I miss out on some anime because I’m paying you instead of Hulu or another app I might have to stop I know that I a single individual may not matter in your eyes but I at least want to try and speak out about this. Thank you for providing anime to us and I just want you to improve. There are some anime I’ve been wanting to watch for the longest time. Gintama, Re:Zero, Re:Hamatora, and Konosuba are a few of them. I finally find an app that will let me watch them. But when I do, 7 ads in a row pop up. I don’t want to pay money just to watch anime. I love anime but I’m not gonna waste my money just to watch it. I’m just gonna stick to YouTube. This issue has haunted my ability to use this service. I pay a monthly subscription and am continually unable to access content. I watch maybe 2 episodes a week. Will be canceling my subscription. Can’t what I want with this app, might as well keep your money. I do get to watch all of the anime I like, but my favorite anime(One Piece) doesn't have the English version. Other than there not being an English version there are no complaints. 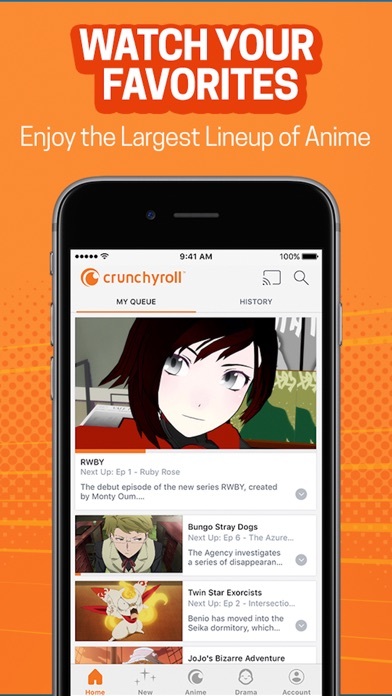 Omg I hate crunchyroll!! Only giving it 5 stars! !